The West African country of Mauritania has recently been back in the spotlight because of the recent CNN report on the continued practice of slavery and human rights violations. Mauritania is the last place on earth where you can still buy and sell a human being. 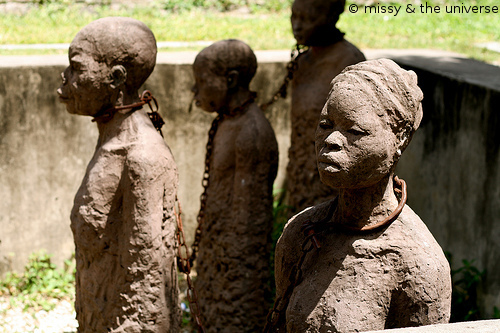 An estimated 10-20% of the population lives in slavery. Mauritanian authorities have failed to prosecute slaves' masters and to support freed slaves and help them gain the skills and education needed to cut ties with this inhuman practice. Furthermore, between 1986 and 1991, the Mauritanian government sponsored a wide ethnic cleansing campaign directed towards its Black African citizens. During that episode, hundreds of Blacks—many of them women and children--were massacred, and thousands others were deported to Senegal and Mali. Perpetrators of these inhuman acts continue to freely roam the streets of many cities and towns throughout the country thanks to a self-serving amnesty law passed in 1993; many of the perpetrators were even promoted to higher responsibilities within the political structure. These horrible acts were widely and thoroughly documented by Janet Fleischman of Human Rights Watch in her 1994 fact-finding report titled "Mauritania's Campaign of Terror: State-Sponsored Repression of Black Africans". These violations of basic human rights and slavery continue every day. As a results, the United States should stop any support to the Mauritanian government. And let’s remember these powerful words from Dr. Martin Luther King Jr., "Injustice anywhere is a threat to justice everywhere". And if we remain silent and continue to support this lawless government, then our support and our silence make us all accomplices of that injustice. Sign this petition to support the fight against slavery in Mauritania.